Snapshot – Fuel prices in India are now subject to global vagaries, what with the subsidy smokescreen demolished. Call it the free market effect if you will, but then again there are no free lunches in life. So, we’ve got to live with de-regulated, and potentially expensive fuel prices. How do we get around this? By opting for the fuel that delivers the lowest possible running cost. Well, most car buyers in the bigger cities of India seem to be doing just that. Maruti Suzuki reports that its CNG powered dual fuel range of cars has exhibited a 23 % growth rate over the past one year, outstripping petrol and diesel models. With more and more car buyers opting for the cleaner, greener and more affordable fuels such as LPG and CNG, the time’s apt to take a look at the 6 dual fuel cars that the country’s largest automaker plays host to. The Alto 800 CNG is one of the least priced dual fuel car in Maruti Suzuki’s line up. The car uses a 796cc-3 cylinder engine that is capable of running on both petrol and CNG. In petrol guise, this motor makes 47 Bhp-69 Nm. On CNG, power and torque figures see a fall to 39 Bhp-54 Nm. On petrol power, ARAI certified fuel efficiency stands at 22.74 Kmpl, while that on CNG power is 30.74 Kms/Kg. The CNG tank is placed in the boot of the car, resulting in a smaller luggage area. 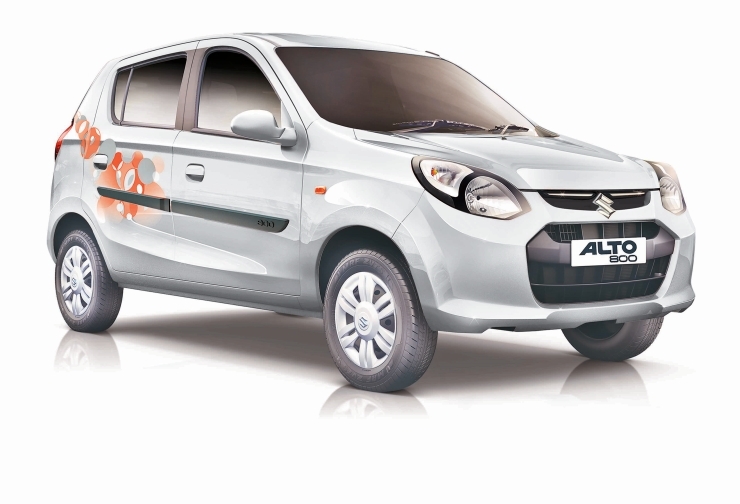 The Alto 800 CNG is sold in LXi trim and is priced at 3.62 lakh rupees, ex-showroom Delhi. If you want a car that’s peppier than the Alto 800 while operating on CNG power, the K10 variant of the car is a logical choice for you. Powered by the 1 liter K10 petrol motor that is served up in a three cylinder layout, this engine makes 67 Bhp-90 Nm on petrol power. In the CNG mode. power and torque figures drop to 58 Bhp and 78 Nm, which are still peppy enough for brisk progress. Like its smaller engined sibling, the CNG variant of the Alto K1o loses out on boot space. 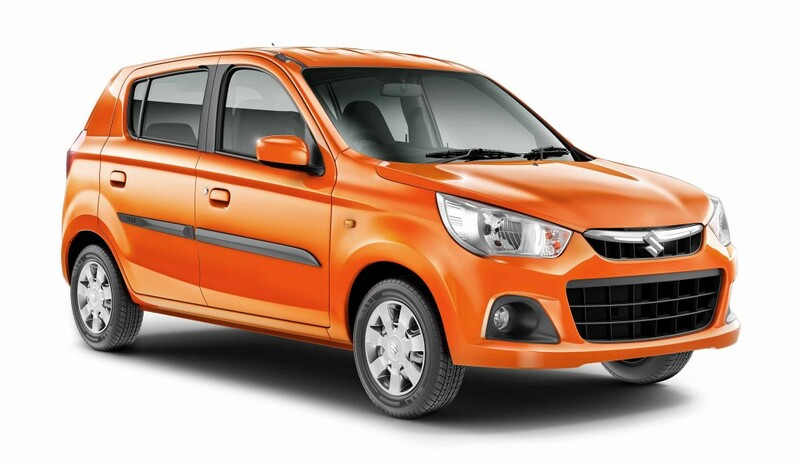 Sold in the LXi variant, the car is priced at 3.92 lakh rupees, making it a more compelling buy than the Alto 800 CNG. Fuel efficiency on CNG is rated at 32.26 Kms/Kg. A rear wheel driven van available in five and seven seat options, the Eeco CNG is a cabbie favourite. In certain cities, this passenger van is also finding many takers among family car buyers, who are in the market for an affordable, spacious and frugal people mover. 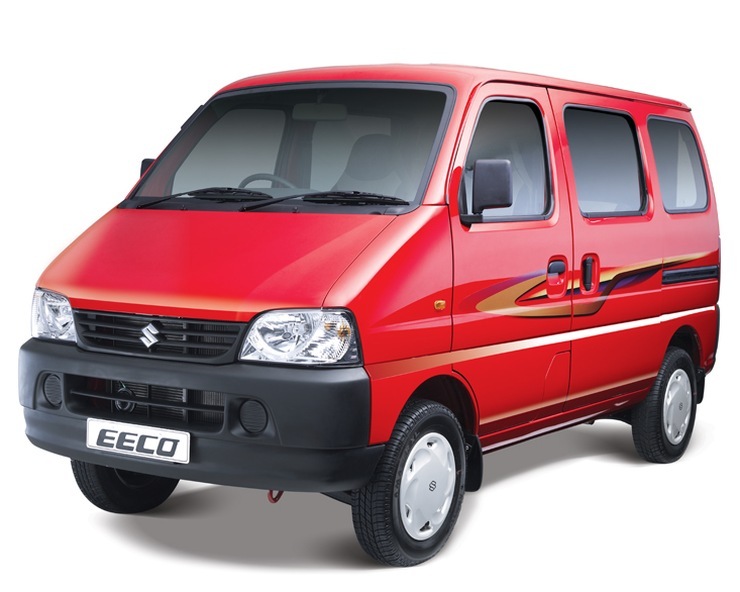 In CNG guise, the Eeco delivers a mileage of 21.8 Kms/Kg. The van is powered by a 1.2 liter-4 cylinder petrol motor with 73 Bhp-101 Nm outputs. While operating on CNG, power and torque figures reduce to 63 Bhp and 83 Nm respectively. 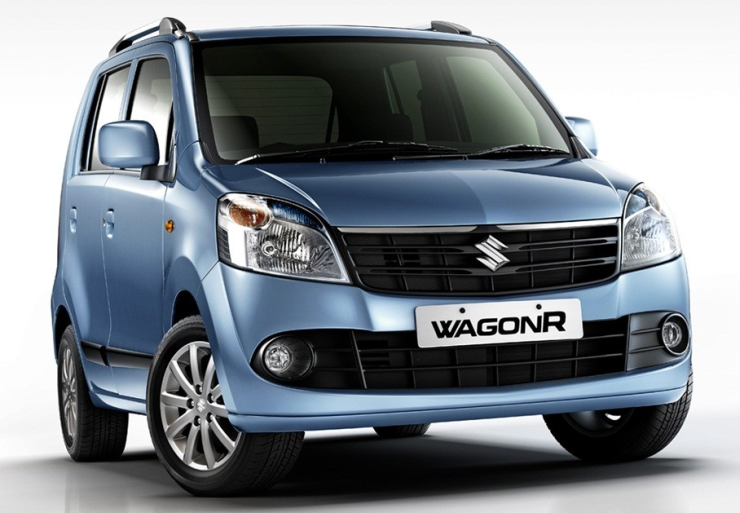 The WagonR tall-boy hatchback is a car that is sold with three fuel options – petrol, CNG and LPG, and is the only car in India to feature such an extensive range of fuel options. The K-Series petrol motor, also found in the Alto K10 does duty on the WagonR, and in petrol guise produces the same power and torque as it does on the smaller car – 67 Bhp-90 Nm. A similar story pans out in the CNG mode too, with 58 Bhp-78 Nm outputs. In LPG mode, the power and torque figures fall to 61.5 Bhp-85 Nm, a minor drop. In CNG mode, fuel efficiency is rated at 26.2 Kms/Kg while that in LPG mode amounts to 14.6 Kms/kg. The LPG powered WagonR LXi is priced at 4.13 lakh rupees while the same variant in CNG guise will set you back by 4.5 lakh rupees. 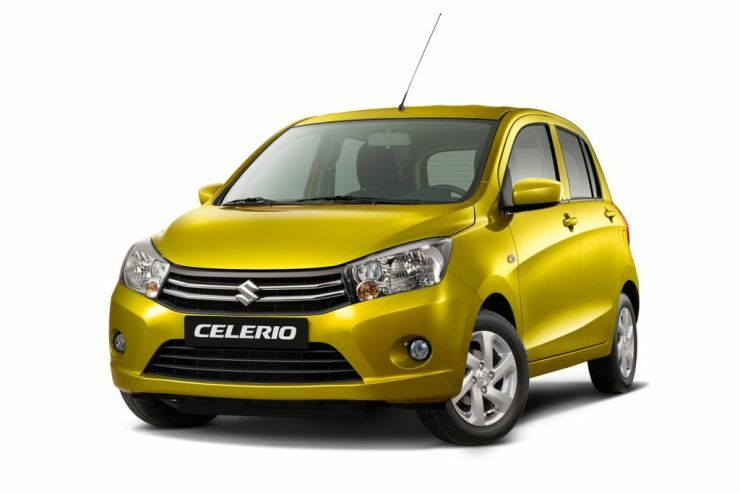 The Celerio is the third Maruti Suzuki car to put the 1 liter K10 petrol motor into use on CNG power. With a 31.79 Kms/Kg fuel efficient, the Celerio CNG is more fuel efficient that the WagonR powered thus, and is only a hair length behind the Alto K10. The Celerio’s claim to fame in India is its automated manual transmission feature that Maruti Suzuki offers on select variants. This option is unavailable on the CNG powered version though. Sold in VXi trim, the Celerio CNG is priced at 4.86 lakh rupees. The Ertiga is the only MPV to be sold with a CNG dual fuel option in India, now that Toyota has stopped selling the Innova with a CNG kit. 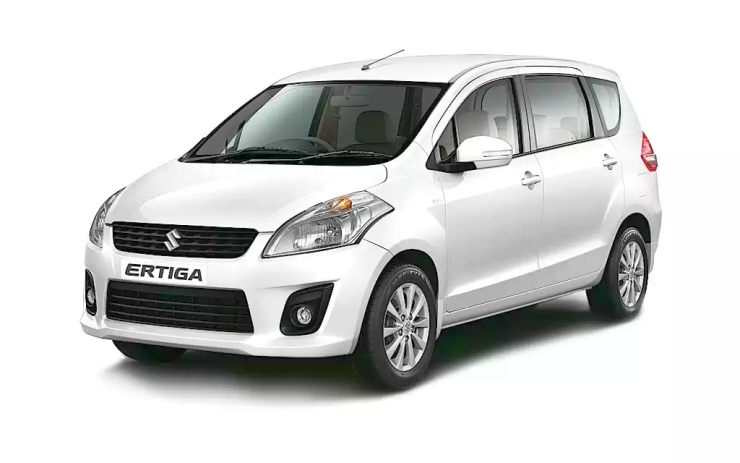 The 7 seat Ertiga uses the 1.4 liter K-Series motor that outputs 94 Bhp-130 Nm in petrol guise. While running on CNG, this motor makes 82 Bhp-110 Nm. A five speed manual gearbox is standard fare. In terms of fuel efficiency, the Ertiga CNG delivers 22.7 Kms/Kg. The car is sold in two trims, LXi and VXi, selling at 6.62 and 7.39 lakh rupees respectively.